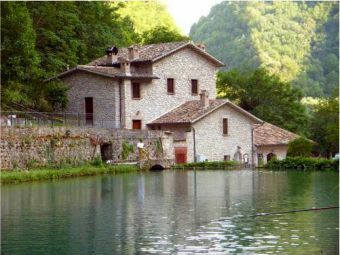 Immobiliare Macchione - Real Estate Agency specialized in selling of prestigious italian properties like houses and villas with pool, luxury apartments, castles, historic houses, country houses, hamlets and agricultural estates. Professionalism and efficiency are the basis of the work ethic of staff at Macchione, developed in total transparency and integrated into Client management while guaranteeing absolute privacy and discretion. 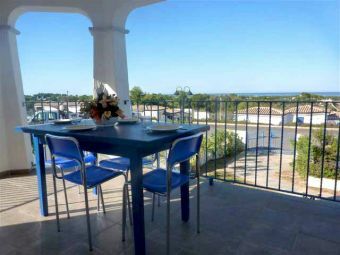 PALAU ( Residence Arcobaleno ) - Wonderful apartment, 800 metres from the sea, in a small residence with a beautiful panoramic swimming pool. Sea view. 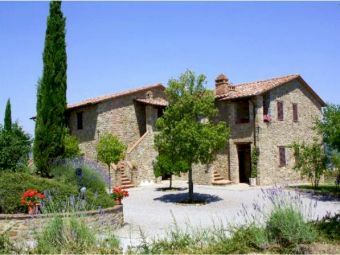 Old stone farmhouse with private pool, located 5 km from the medieval town of Città della Pieve, in a dominant and panoramic area with a nice view of the Umbrian countryside. 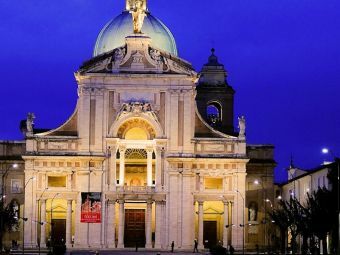 PERUGIA ( piazza Italia / OLD TOWN ) - In prestigious Palazzo Calderini, Apartment on 2 floors, composed by entrance, hallway, living room, kitchen, 4 bedrooms, 3 bathrooms, closets. 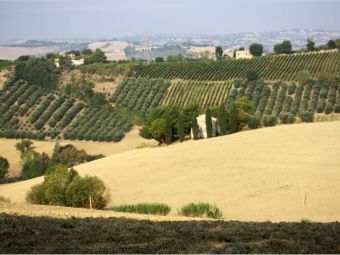 GARDEN with splendid view of Assisi. PERUGIA ( via della Cometa / CORSO GARIBALDI area ) - 2-level apartment composed by independent entrance, living room with kitchenette, double bedroom, bathroom. 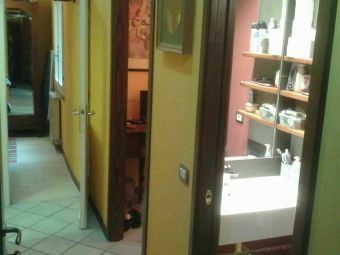 CITTA' DELLA PIEVE ( via delle Nottole / OLD TOWN ) - Apartment composed by entrance hall, living room with kitchenette, bedroom, bathroom. Completely renovated. 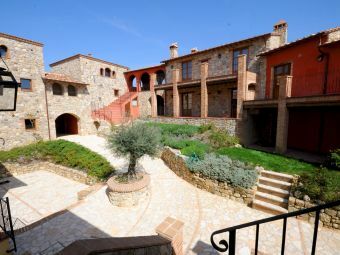 PERUGIA ( Semi central area ) - Apartment of very high quality composed by living room with kitchenette, double bedroom, single bedroom, bathroom with shower. 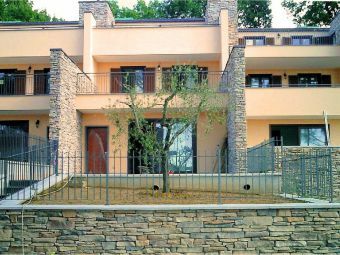 Terrace of 50 sqm. Luxury finishes. NEW CONSTRUCTION! Elegant and exclusive building. 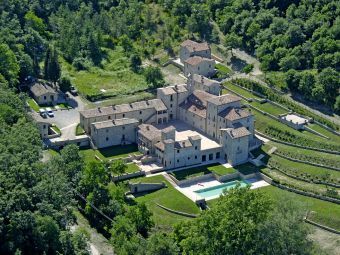 Manor villa of the seventeenth century that hosted Napoleon Bonaparte, located 10 km from Volterra, surrounded by the typical Tuscan countryside dotted with olive groves and vineyards, ancient forests of oak, holm oak and cork trees. SALERNO ( vicolo dei Barbuti / CENTRO STORICO ) - Elegant apartment on 2 floors, consists of entrance, living room, kitchen, 3 bedrooms, 4 bathrooms, lounge, utility room. 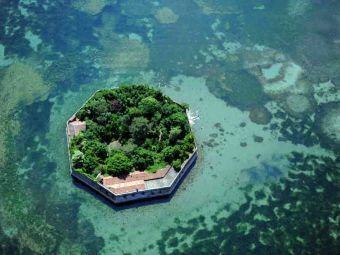 At 300 meters from the sea. 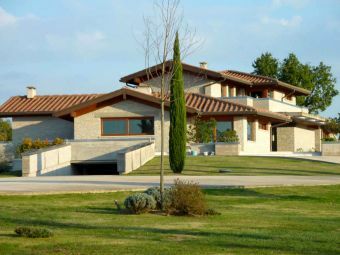 Villa with private garden and swimming pool surrounded by green Umbrian countryside. 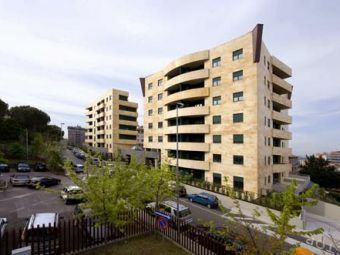 Nearby are supermarkets, schools, shops, bars, restaurants, post office, pharmacy, etc. 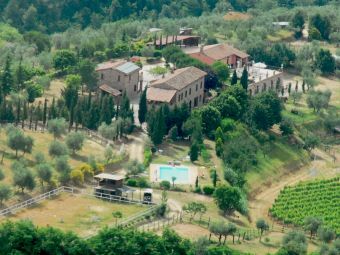 Equestrian Center "Costa degli Etruschi"
PERUGIA ( piazza Francesco Piccinino / HISTORICAL CENTER ) - Office of 125 square meters on the first floor of an historic building with lift and consists of entrance, 5 rooms with frescoes, bathroom. 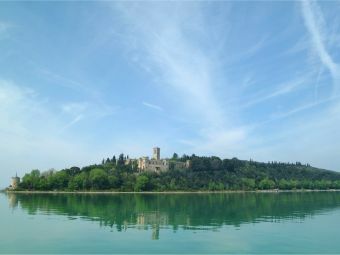 Hotel is located in the heart of a small seaside resort Marebello, south of Rimini, just 70 meters from the beach of fine golden sand. 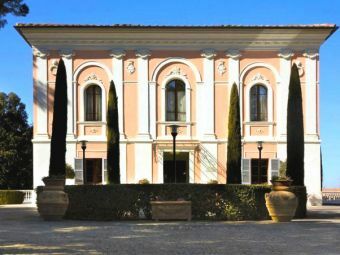 PERUGIA ( ITALY ) - In prestigious Palazzo Calderini, Office on 2 floors, composed by entrance, hallway, 6 rooms, 3 bathrooms, closets. 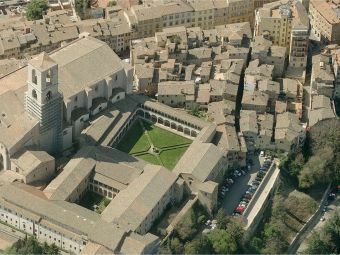 GARDEN with splendid view of Assisi. 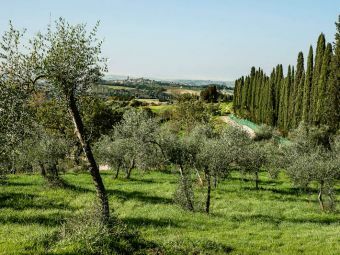 Umbrian stone farmhouse with ancient pigeon tower dating back to 1667 and pretty garden, surrounded by a beautiful forest of olive trees along the old road Franciscan, just 8 km from the center of Assisi. 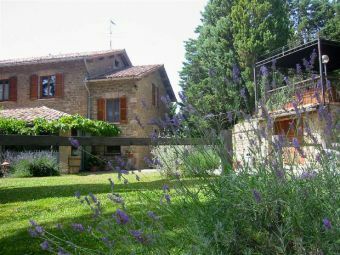 Agritourism with 7 apartments situated in a fertile and delightful valley of the River Nestor and also benefits from a wonderful view has a great location, just a few kilometers from Perugia and Assisi. 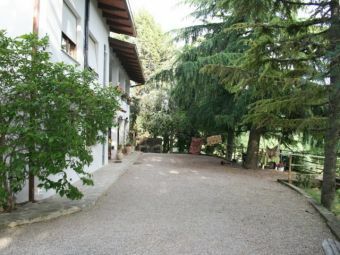 Agritourism with farm, located in the heart of Montefeltro, about 25 km from the nearby Adriatic coast a few steps from the Republic of San Marino. 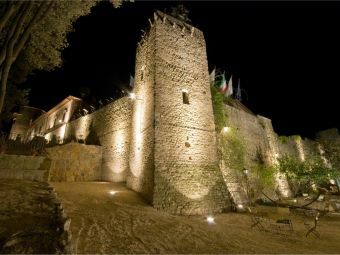 Ancient complex dating back to 1300, situated 400 meters above sea level among the olive trees, about 6 km from Assisi with a beautiful panoramic view of the Basilica of Santa Maria degli Angeli and the beautiful landscape of the Umbrian Valley. 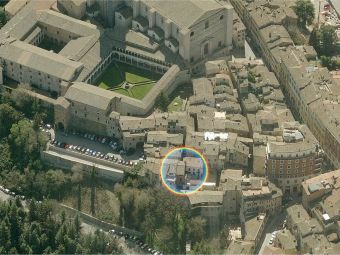 PERUGIA ( via Bartolo / OLD TOWN ) - Office composed by entrance, 7 rooms, hallway and 2 bathrooms. Production handmade artistic terracotta "Made in Italy"
SALE - Historic Tuscan company specializing in the production of handmade objects in terracotta, glazed ceramics, stoneware, porcelain and other ceramic materials. Real estate property includes a shed of 1,650 square meters. Agricultural company "Made in Italy"
Old crucifix stylistically Portuguese but fused in Congo with local methods and decidedly African finishes and decorations. 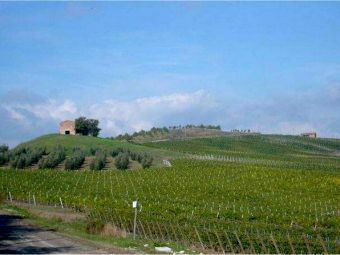 Production of potato dumplings "Made in Italy"
SALE - Company, operating in the production and sale of potato dumplings, orecchiette pasta and polenta. ESTIMATED VALUE: €. 80,000. Galvanic corrosion of products and metal components for the furniture "Made in Italy"
PARTNER SEARCH - Share shareholding equal to 99.78% of the share capital of the company. A leading Italian company in the sector of galvanic treatment of metal surfaces for the internal business of production of furnishing accessories, for working on behalf of third parties and for marketing. Meat Product Manufacturing "Made in Italy"
SALE - Historical company operating in the MEAT MANUFACTURING BUSINESS and with an annual turnover of approximately € 13 million. Real estate property includes a shed of 2,500 square meters equipped with refrigerators full of anti-cell, slaughterhouses, meat cutting depots and workshops. 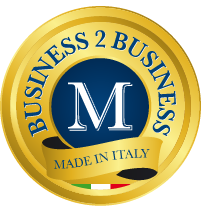 Production and sale of outdoor furniture "Made in Italy"
PARTNER SEARCH - Italian company specialized in the production and sale of furniture for gardens, terraces and open spaces of hotels, restaurants, swimming pools and accommodation facilities in general. Production of wine DOCG and olive oil "Made in Italy"
Production of metal shelving "Made in Italy"
SALE - Business complex consisting of equipment, machinery, sistems and other goods aimed at the specialized production of metal shelving trademarked.